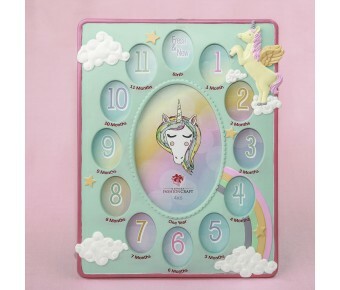 Frame baby's sentimental photos in this adorable unicorn collage frame. Fill it up month by month and create an heirloom to last for a lifetime! The frame is made from poly resin and is hand painted in lovely pastel and bold colors with a mint background. 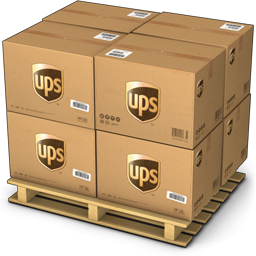 It offers openings from birth to 11 months and one large opening in the middle for 1 year. 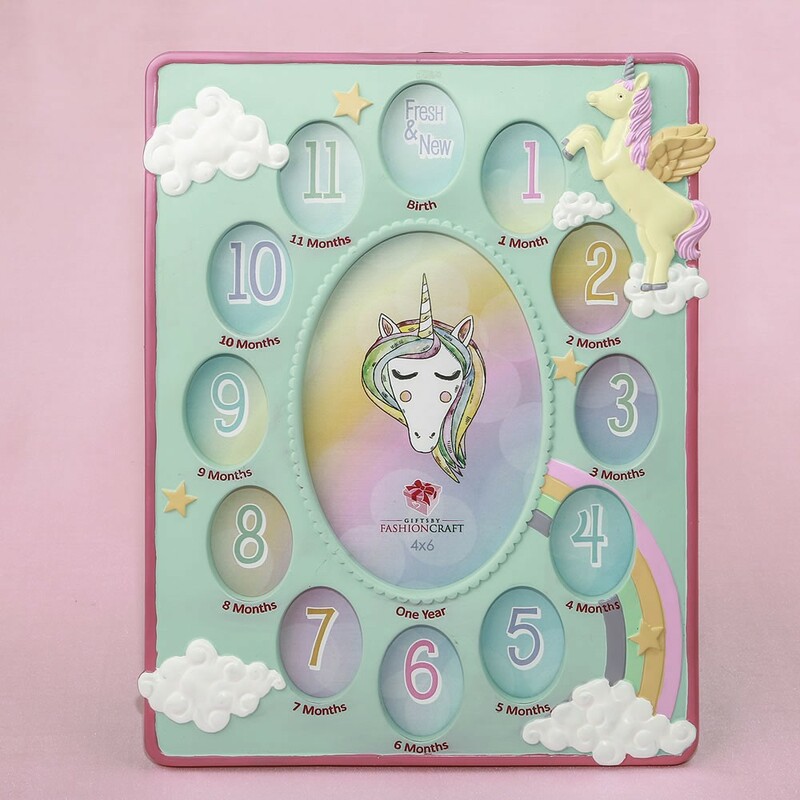 The frame features a raised unicorn in the top corner with white fluffy clouds, stars and a rainbow. Delight your clients when they come looking for an awesome baby shower gift. This unicorn collage is the perfect choice! Size 11" x 8 3/8"
A fabulous baby shower gift!